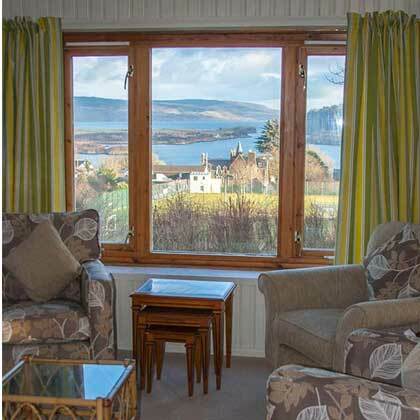 An Cala 4 bedroom holiday house with stunning views over Tobermory and the Sound of Mull. Sleeps up to 8. An Cala is a spacious house, situated in a quiet area of upper Tobermory, near the golf course and with stunning views of Tobermory Bay, Calve Island and the sound of Mull. 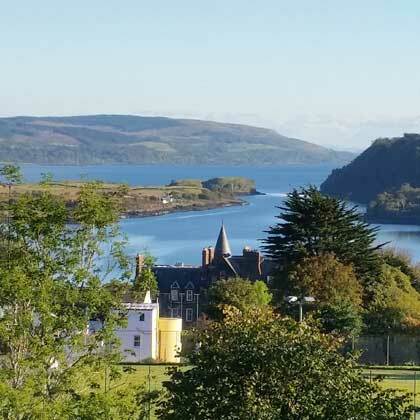 Set in private gardens, it offers a wonderful base for exploring the wilds of Mull, whilst having the opportunity of sampling the delights of Tobermory. 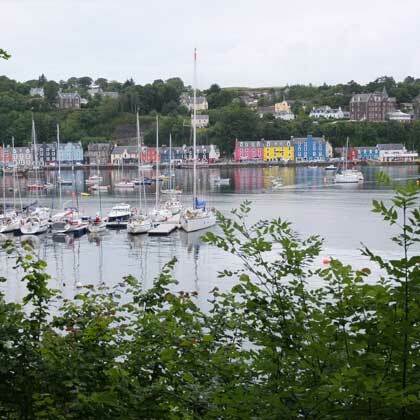 It is 5 minutes walk to the picturesque sea front of Tobermory (slightly longer walking back up the hill!) 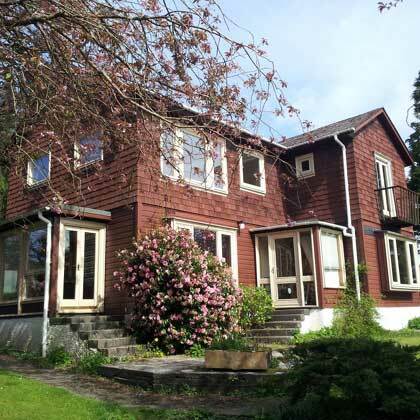 and is within walking distance to the golf course, tennis court, and children's play area.